This past week our children and grandchildren came for a visit. 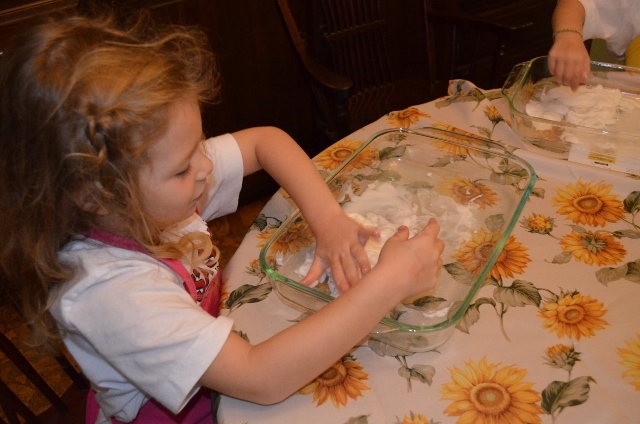 The granddaughters are three and six years old – wonderful ages especially for an early childhood educator. 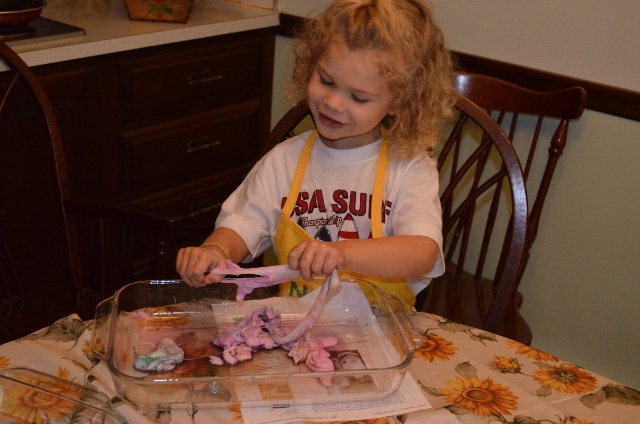 For this visit, I pulled out some of the sensory experiences that the Pre-K students always loved. 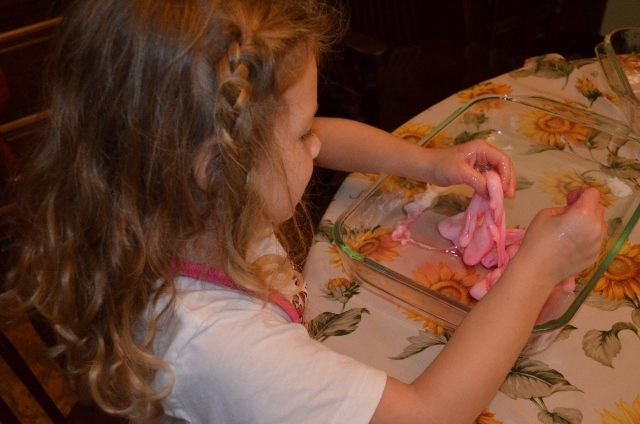 The first project was making slime. Just the name is a big hit with the younger set! 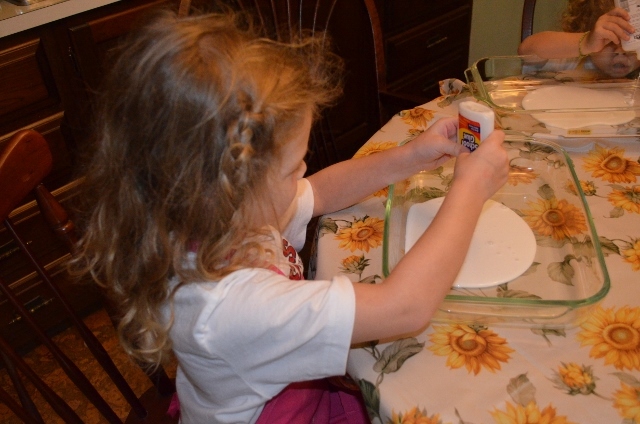 Pour the glue into some type of container for mixing. Then add an equal amount of liquid starch. 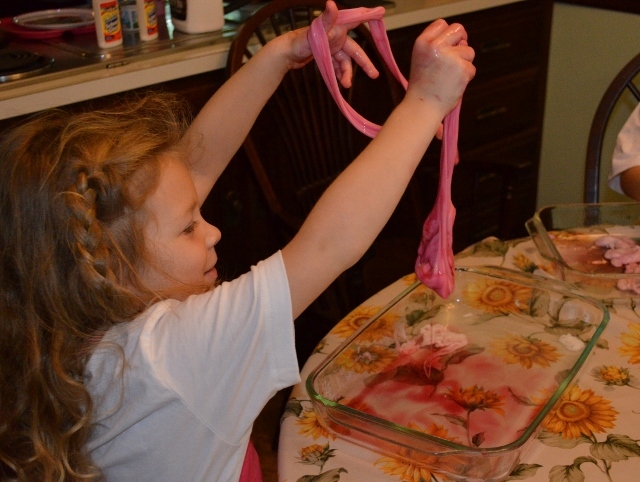 Mix with hands and enjoy the slimy experience! For color you can add liquid water colors (available at arts and craft stores) or food coloring. Great sensory fun and opportunities for vocabulary development. 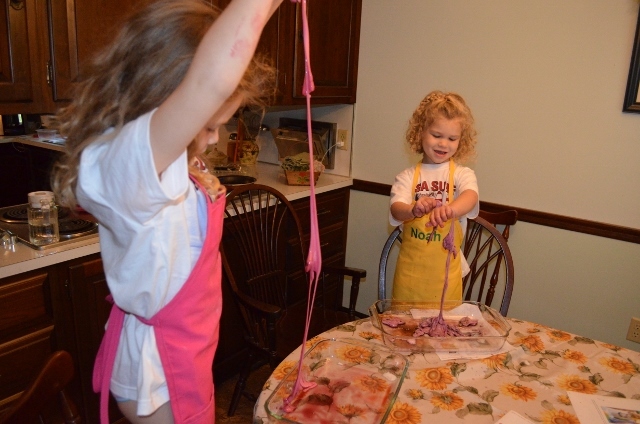 Then have some slimey fun!